What made you interested in PR and communications? I was involved in a lot of communication-centric activities in high school like morning announcements, forensics (public speaking) and drama. When it came time to apply to universities, I wanted something that would allow me to merge my writing, speaking and design skills all in one. College of Human Ecology at East Carolina University Internship: Saw an online posting with ECU. Semple Solutions Internship (Small PR Firm): Owner came to speak to my PRSSA group. Syracuse Stage Internship: Sought out an entertainment-focused PR internship by utilizing the Newhouse Career Center (Syracuse University). Dassault Falcon Jet Internship: Networked within the company and created a custom internship. Sky Zone Greensboro Job: Looked on Indeed for communication jobs within North Carolina. 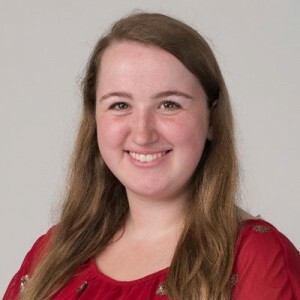 I was skeptical to take a social media class because I thought as a millennial, I knew pretty much everything about Facebook and Twitter, but I took a class at Newhouse (Syracuse University) and learned to deep-dive into analytics and read demographics to benefit a brand. Read your material out loud so it’s easier to catch typos or awkward-sounding phrases. Do you have any advice of your own for future PR pros? Take advantage of any learning opportunity, whether or not you’ll think it’ll help you at the moment. It may benefit you in the future! The network is incredible! Many seasoned professionals are willing to mentor recent graduates. Why did you decide to get your Master’s in PR? There were a few factors that played into my decision to get my Master’s degree. Due to my academic record, I received a scholarship to one of the most prestigious communication schools in the country. Second, I felt like having another degree under my belt would make me stand out from the competition. I should have started applying for jobs sooner than I did. Although I didn’t mind moving back with my parents right after graduation, there was a slight competition among my classmates to be the first to find a full-time job. Connecting with other new pros is an important benefit of PRSA membership for many members. 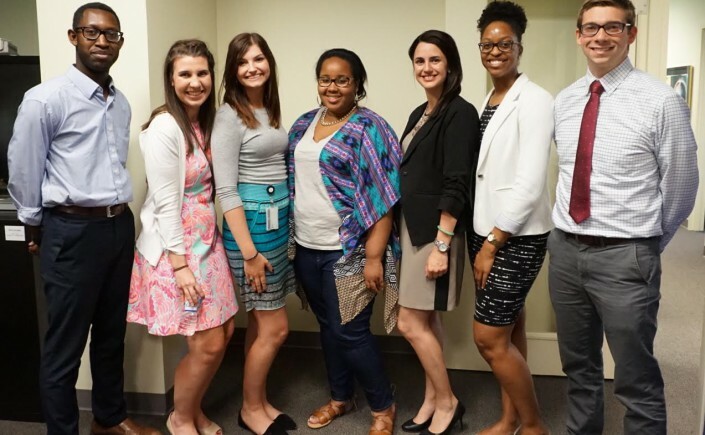 PRSA chapters across the country have organized groups within their chapter to help them connect on a local level, like the New Professionals section does nationally. We will feature a q&a each month to showcase chapters’ new professional groups. This month we spoke with Seth Kingdon, PRSA Charlotte’s New Professionals Committee Chair. 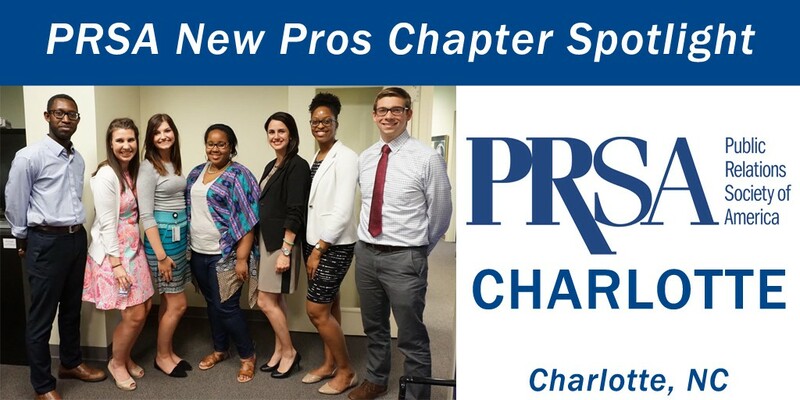 PRSA Charlotte’s New Professionals group works to plan events and workshops to help Charlotte’s young professionals gain a deeper understanding of the PR industry. The committee is made up of nine members, led by Seth. “We, as a committee, want to cultivate great PR professionals in Charlotte. To make this happen we strive to offer helpful resources and one-of-a-kind opportunities for our members so they can blossom into successful public relations practitioners,” Seth said. Here are some of the questions we had for Seth about PRSA Charlotte’s New Pros group. The Edge: Could you tell us about the programming and resources you put together for your members? Seth Kingdon: Our committee initial began by establishing a shared vision for providing professional development opportunities for New Pros and students. We planned a networking event because we saw the value of meeting other new professionals and students in the Charlotte-metro area. We scheduled professional development workshops throughout the year because we all need tools to do our job better. Our committee’s future endeavors include establishing a mentorship program with local PRSSA chapters and pro-bono campaigns and projects. Overall, we offer networking events and workshops. However, on a deeper level, we recruit new professionals to come to monthly PRSA Charlotte luncheons where they can meet experience PR practitioners from organizations like Duke Energy, Bank of America, Food Lion, Luquire George Andrews and Taylor. We believe mentorship drives a successful PR career, so we encourage our members to find a mentor and to be a mentor. TE: How many members/participants do you have? SK: It’s hard to know how many New Professionals are scattered throughout Charlotte, but approximately 20 professionals and students generally attend our meetings. TE: How do you engage new or potential members? SK: We each personally reach out to students and meet people at other networking events and invite them to PRSA gatherings. TE: How does your group fit into the bigger picture of the chapter? SK: Our New Professional section brings a unique perspective to the overall PRSA Charlotte chapter by offering millennial insight, inventive concepts and an energetic atmosphere for success. TE: What is the best way for New Pros to get involved in the PR community? SK: First and foremost, attend events so you can meet professionals. Second, it is important to continually build your skill set and be self-taught on important PR topics so you can offer knowledge and insight. Third, establish relationships with two or three professionals—your age and older—who are your “go to” for questions. As you do these things and progress through your professional career, you will consistently learn and be a marketable public relations professional. TE: And finally, what advice do you have for New Pros for using PRSA to their best advantage? SK: Meet and develop relationships with as many PR professionals as you can. Build a strong network you trust to contact with questions or advice. Especially connect with those who have more experience than you—even if it feels intimidating. Is your chapter doing great things for New Pros? 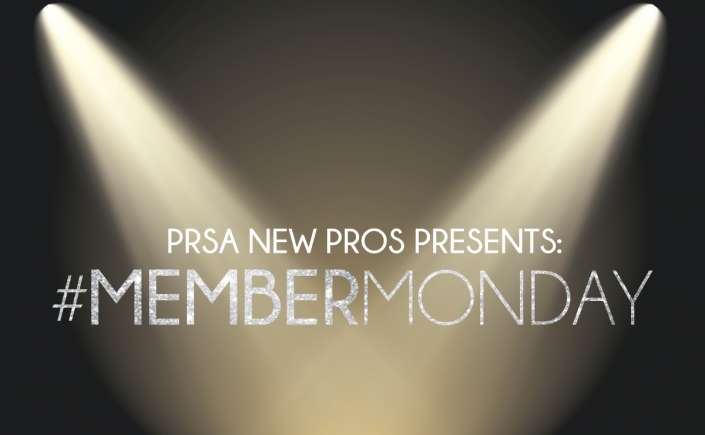 Do you know a New Pro doing great work in and outside of PRSA? Let us know!